Description: This marionette has a sewn on mouth. 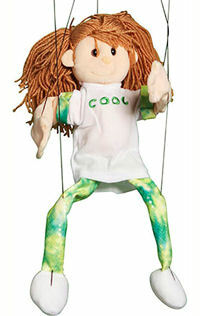 Puppet is 11" tall with strings approximately 22" total. The puppet is controlled with a t-bar.